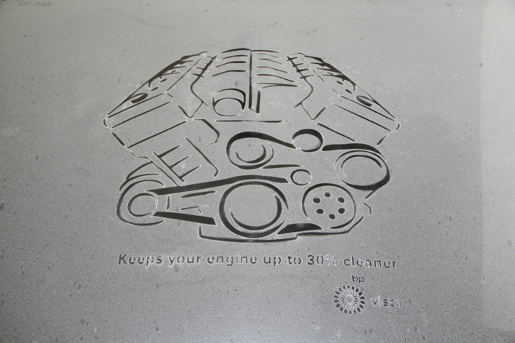 BP Visco’s Dustvertising campaign in Dubai has won the Direct and Sales Promotion Grand Prix at the 2010 Dubai Lynx Awards. As 80 percent of the United Arab Emirates is desert, cars are constantly covered in a layer of sand. 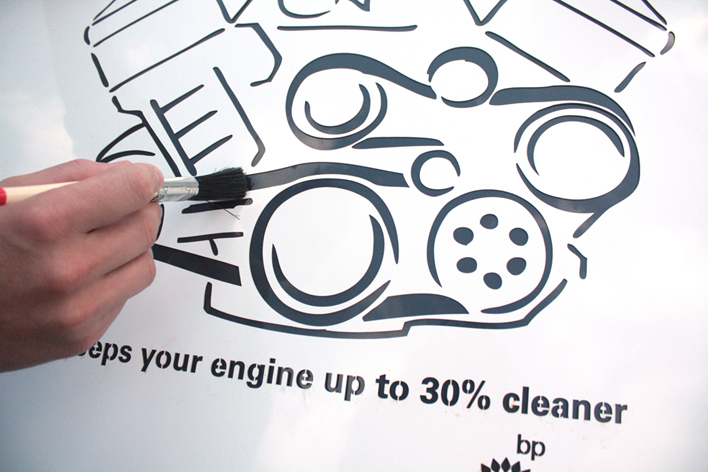 MEMAC Ogilvy & Mather’s team recognised the cars as a public canvas for promoting BP’s “30% cleaner” message. The team created a large stencil for brushing clean the silhouette of an engine and the BP message on car bonnets all over Dubai. 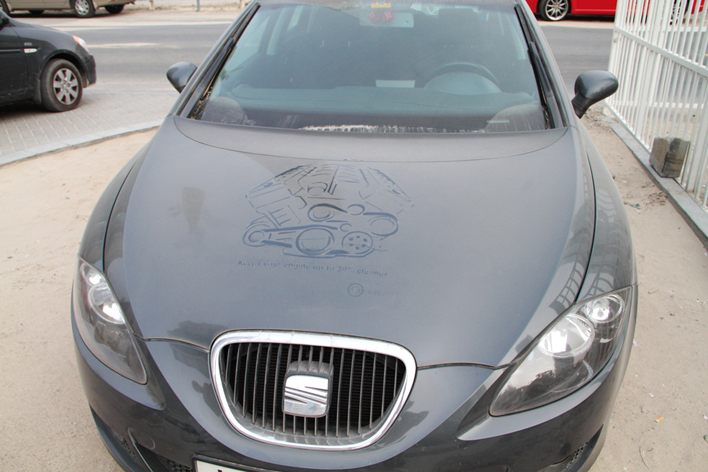 The cars were both parked and driven en masse in high footfall areas all over Dubai. In the same locations, stenciled fliers were placed on car windows of other motorists offering them 30% off their next Visco oil change. 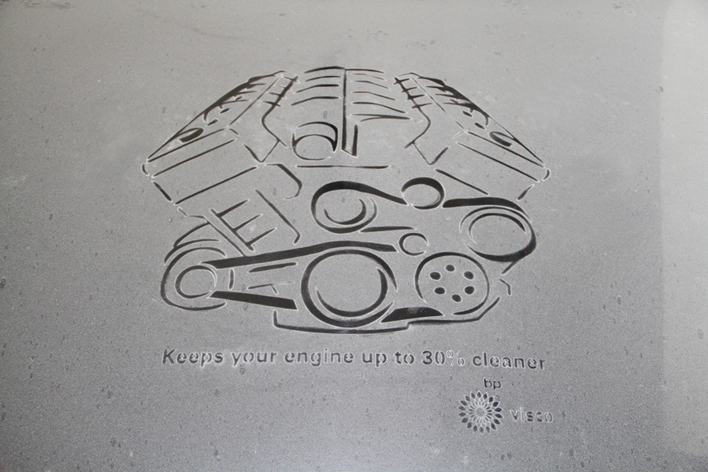 The Dustvertising campaign was developed at Memac Ogilvy, Dubai, by executive creative director Till Hohmann, creative director Robin Smith, art director Gary Rolf, copywriter James Bisset, designer Mark Cruzem, production designer Gregory Richmann, production manager Sukesh Babu, client business director Richard Woodward, account manager Mark Jordan, with BP/Castrol channel development manager Jayakumar Natarajan.